Some reviews for Calasade: Sanguinem Isle courtesy of readers at Readers’ Favorite. All 5-Star, which is always good. Wow. Just, wow. How’s that for a review? Pretty great, right? Well, that’s definitely what I thought when I finished reading the highly unique, highly inventive and highly fantastic book by author Mark Stone, Calasade: Sanguiem Isle. Follow the story of Caderyn, a wounded and flawed man. Caderyn drinks too much, his wife has died, and he feels responsible for that. When he’s commissioned to find and rescue a little girl who has been kidnapped from her own bed, Indrasena, he agrees to go on this journey, mostly because he definitely needs the money. But it’s through this adventure, and the secrets that he uncovers along the way, that Caderyn learns what it might take for his own redemption, if only he’s up to the task. I loved this book. Loved. It. And I don’t say that lightly. I am a consummate lover of works of fantasy, but lately, I have been getting a bit weary of it. So many books seem too similar; it’s almost as if all authors are following a formula when they’re writing. Well, that is certainly not so with Mark Stone and his awesome work, Calasade. This book is like almost no other that I’ve read, and in a day and age when fantasy seems to be the genre of choice for many authors, that really says a lot for the creativity of this author. 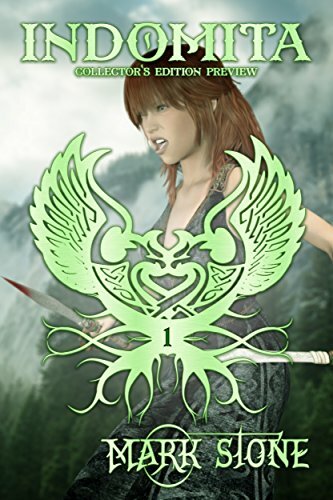 Any reader who loves the fantasy genre or is looking for a simply great read, should absolutely pick up Calasade: Sanguiem Isle as soon as they can. You won’t be disappointed! Calasade: Sanguinem Isle is an illustrated fantasy novel by author Mark Stone. Set in Calasade, a Greco-Roman world filled with realistic historical nods and paranormal nuances, the story follows the heroic but damaged Caderyn, who battles crippling personal demons against the backdrop of a harsh world. 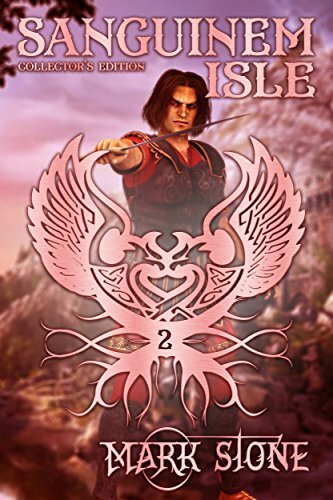 Caderyn begins a quest to seek out the kidnapped Indrasena, a young girl who faces a potentially terrifying fate at her captors’ hands, but along the way his journey becomes one of working through grief, facing his own problems and moving on with his life. Amid the action, gore and bleak violence of the world of Calasade, a powerful emotional transformation takes place. I did find Calasade: Sanguinem Isle a little difficult to get into, having not read any of the previous books set in Mark Stone’s gruesomely crafted world. Once I was used to the semi-Latin style of speech, however, I was transported to a new realm that borrows from history and folklore to create something entirely new. Stone’s prose is exciting and well paced throughout the novel, moving readers through vivid action scenes, painful moments of desperation, and clever conversations where characters only reveal what’s needed, never the whole truth. Caderyn is a hero whom many readers will find relatable and endearing in his damaged state, and the author leaves plenty of room to acknowledge the psychological changes he goes through during his rescue mission. Overall, a graphic action novel in a wild fantasy world that also has plenty of heart and soul. Wow! Have you every read a book and immediately thought to yourself, ‘Gosh, I’d like to meet that author, if for nothing else than to find out exactly how their mind works?’ That’s how I felt when I finished the novel Calasade: Sanguinem Isle by author Mark Stone. 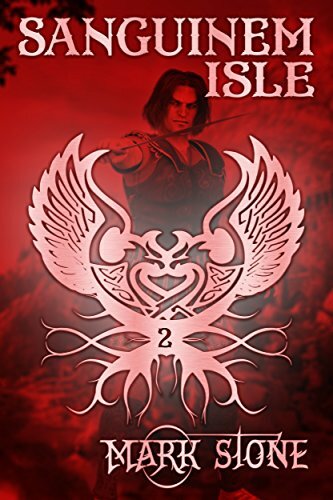 A completely unique read, different from much that most people have probably read, the story, set in the Greco-Roman fantasy world of Calasade, follows the adventuresome Caderyn as he is sent on a quest to find Indrasena, a young girl who has been kidnapped from her own bed. Caderyn is battling his own demons, including a drinking problem and the guilt he feels for his wife’s death. Will Caderyn be successful in his mission and find some redemption, or will this quest end up as another failure? You’ll have to read the book to find out. I so enjoyed Calasade: Sanguinem Isle. 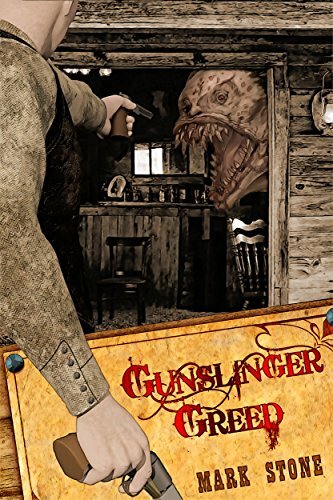 I am a big reader, both in the fantasy and general fiction genres, and I can truly say that I have never read a story quite like this before. Finding such a unique story was a real treat. Author Mark Stone has done an excellent job in creating a world that is both fantastic and believable, which is not an easy trick. The characters he has developed, especially Caderyn, are flawed, interesting and readers will relate to them, the perfect mix of development in this reader’s eyes. I am so pleased to recommend this book to anyone who loves fantasy, or just a unique read, and I will certainly keep my eye out for further work by author Mark Stone. This talented author is absolutely one to watch! Calasade: Sanguinem Isle by Mark Stone is layer upon layer of a great fantasy story. The novel is about Caderyn, a man who is tormented by his past and with a crippling need for alcohol. When he is given the job of finding a kidnapped girl, Indrasena, by Lepidus, he takes the job with gratitude. Keeping money is very hard for an alcoholic who depends upon the numbing feeling it gives. However, he had no idea that his whole life would change with this simple decision to save a girl. But things are not as easy as they seem. Caderyn leaves to find the girl and the person behind the kidnapping, but he is broken inside and he is crumbling day by day. Can he fight the demons inside and concentrate on the job at hand? Will his alcohol abuse destroy Indrasena’s chance of getting rescued? Will Caderyn ever forgive himself for what happened in the past. Calasade: Sanguinem Isle by Mark Stone was just fabulous. Caderyn was just so…loathsome! I don’t know if I have ever loved and hated and loved a character so much. I blame Mark Stone for that. He has created this character so beautifully. I really liked the way I could feel his every emotion, his addiction and despair. I liked how there was love, romance, action and mystery, and everything was just balanced. Nothing overpowered the other. This novel has everything you expect from a fantasy novel, but it still has elements that make it unique and stand out! Five stars! Reviews originally posted at https://readersfavorite.com/book-review/calasade.